Lat 18° 11' 0" Long 120° 32' 0" Laoag Airfield is located to the southwest of Laoag at Gabu in Ilocos Norte Province in Luzon in the Philippines. 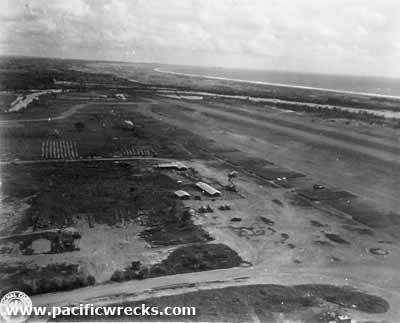 This airfield was built prior to the war. Occupied and used by the Japanese beginning in December 1941 when it was captured, until February 15, 1945 when they abandon the airfield due to guerilla raids. It was then occupied by American forces. After the war, it was improved and expanded further. Wartime Photo July 25, 1946. On January 24, 1945 Major Simeon Valdez, 2nd Battalion leads a raid on the airfield, burning the headquarters, setting fire to a fuel dump. There are no casualties on the raider's side. Similar attacks follow in the succeeding days. 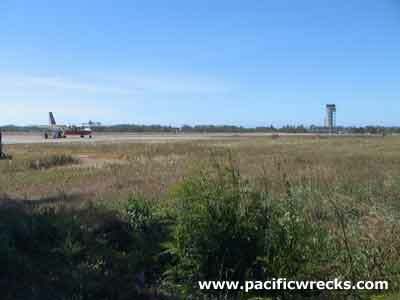 The airport is still in use, as an international airport that services Ilocos Norte Province, with flights from around the Philippines and China and Taiwan. Airport codes: ICAO: RPLI	IATA: LAO.